Eulogy is a piece of writing or an honorable speech at one’s funeral function. The speech recollects the fond memories of the deceased and praises his/her honorable accomplishments and achievements. Reading a Eulogy is a profound experience. The Eulogy templates in this section are in remembrance of the most inspired spirits who left their mark here. Life in the outer cosmos is unpredictable. But on earth there are people around us who go that extra mile and achieve more than their call of duty here. We are hereby trying to present some inputs in the form of Eulogy examples for such kind of people. Eulogy Funeral Invitation mostly talk about how the deceased is in terms of his/her achievements and accomplishments. 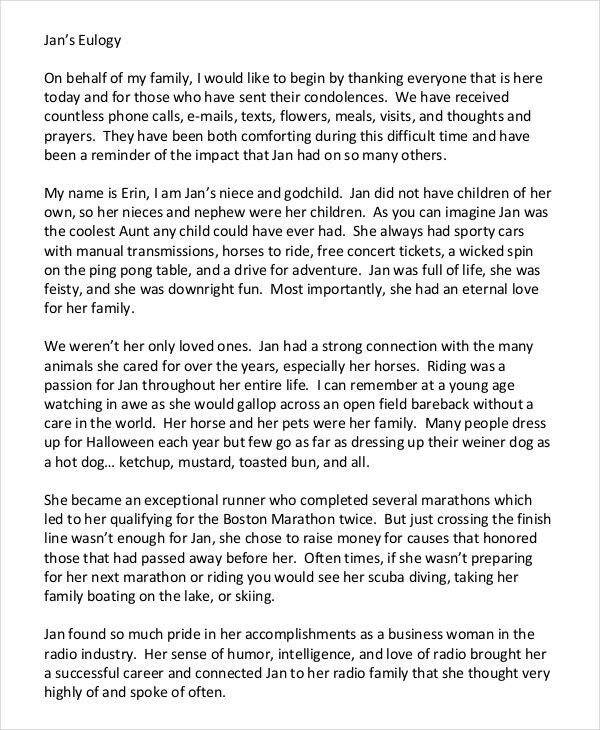 This Example helps you prepare a Eulogy with all that count. How are you going to pay the tribute to a person who is complete and consistent throughout his/her life? This Funeral Eulogy helps to prepare an eulogy for those who shared their life and memorable moments with you. 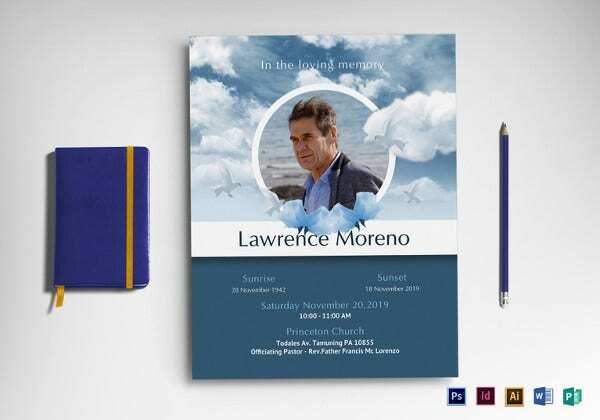 You may also see Funeral Program Templates. 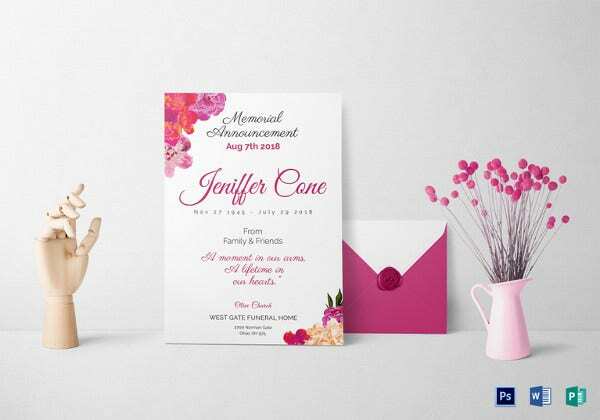 Funny Eulogy Examples come with funny catch phrases that take the guest list to a lighter mood from the tragic loss. This example helps uplift the mood with some fond memories and forget the bad ones. 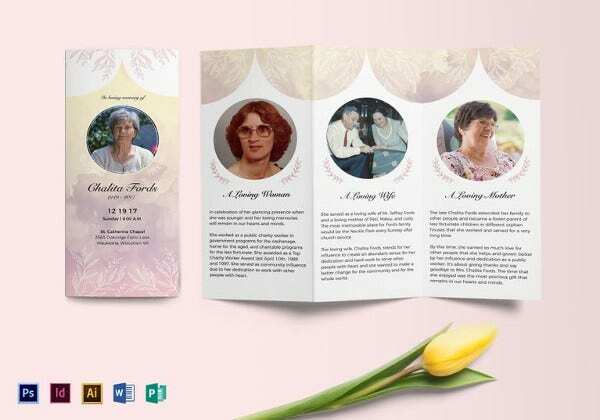 You may also see Funeral Bookmark Templates. Is your Grandpa the greatest of all Grandpas? Then let the world know the fact. 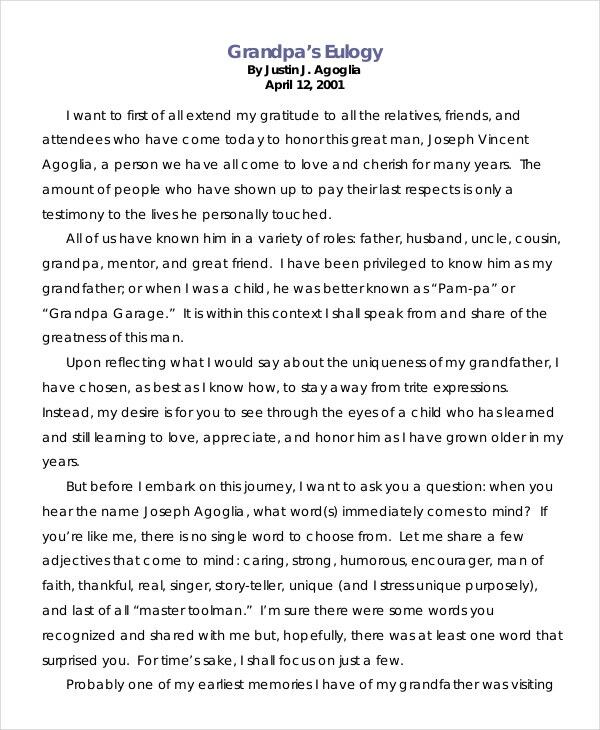 Pay your Santa who is also your Easter bunny a befitting tribute with this Grandpa Eulogy Example. 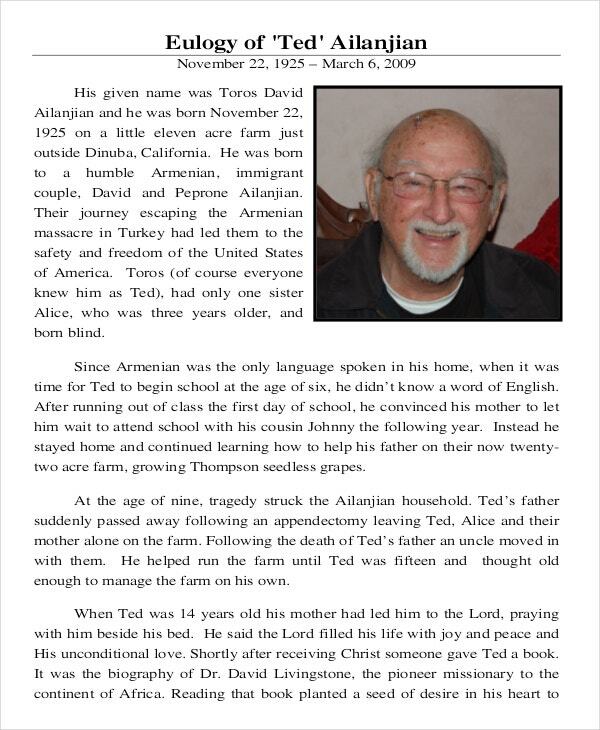 You may also see Newspaper Obituary Template. Short Eulogies are subject specified and never breaks up into the poetry and other sonnets. This Short Eulogy Example will be definitely liked by your loved ones without a single doubt. Do you have some humor in your speech? 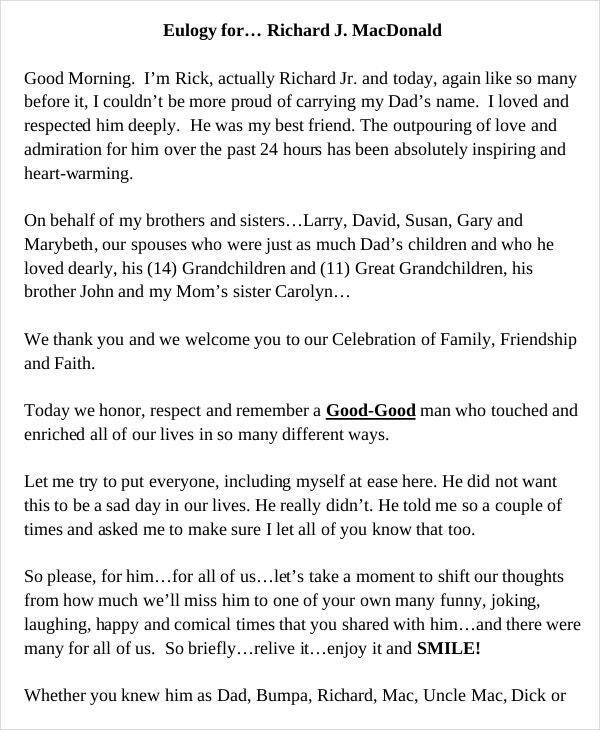 If not, adopt some with this Humorous Eulogy Example. It definitely helps you prepare one for the special ones with whom you shared your life with. 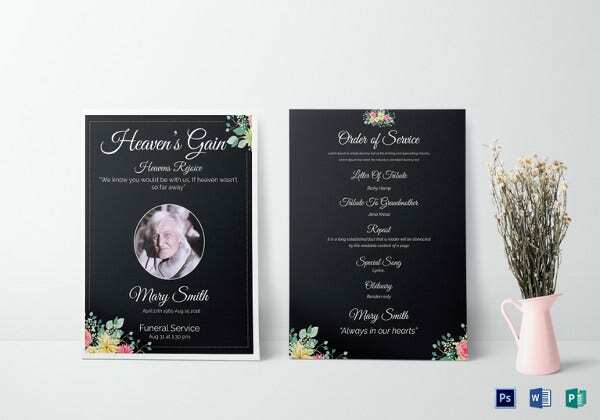 You may also see Obituary Writing Template. If you really care what people will say after you are gone, start preparing an eulogy before life slips away quickly. Because you never know when god will take you to heaven. Is marrying your husband the best thing that happened in your life? Is his dead wrong? We know that his place in your life is irreplaceable. Show him the love and respect he deserves! You may also see Blank Obituary Template. The term White Hat generally refers to a Navy Chief. Are you about to read the script in your Navy Chief’s funeral? 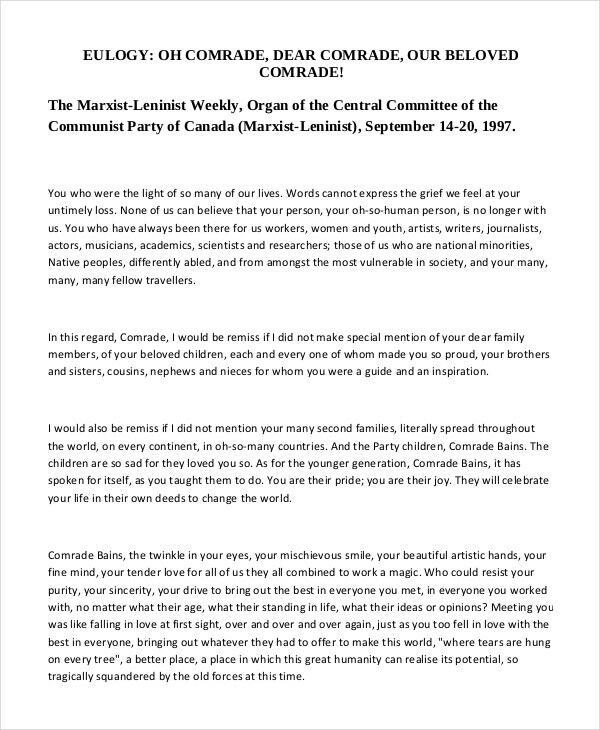 Then this White Hat Eulogy Example help you bid farewell to the single most respected and powerful official. 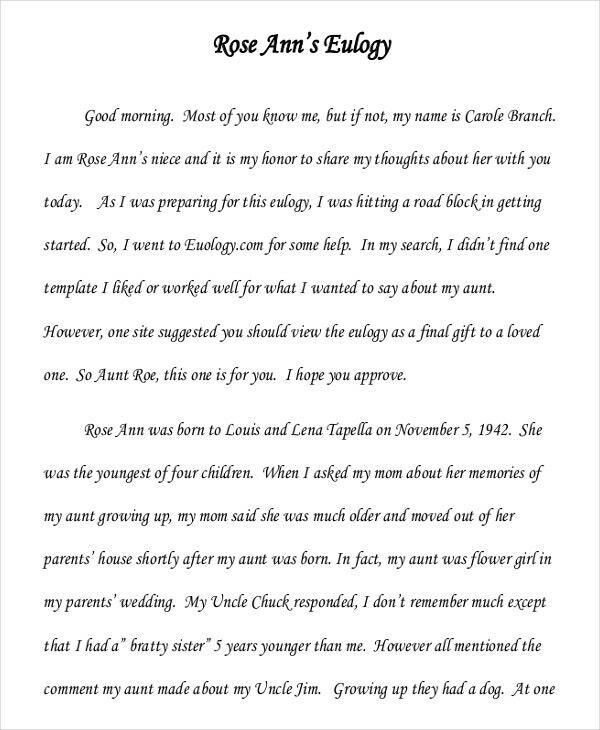 Recollection, just like its name, Eulogy Examples take you to stroll down memory lane. This example reads through what a kind hearted person he/she is when they were alive. You may also see Speech Outline Template. What kind of speech is a Eulogy? 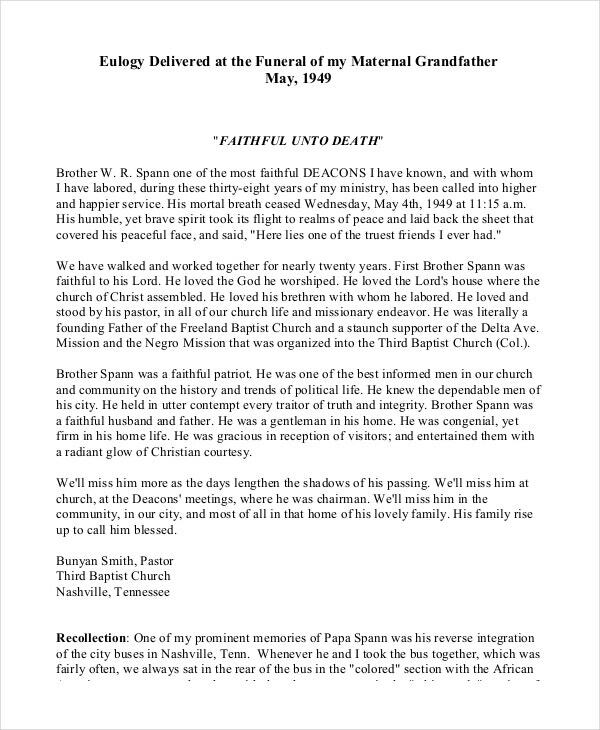 As described in the above paragraphs, Eulogies praises someone highly on the day of their funeral. Also as Eulogies are interconnected with emotions, there is no hard and fast rule when it comes to writing one. After all, everything is fair in love and war. But we know that eulogizing is a heavy feeling. That’s why we come up with few ready-made examples. 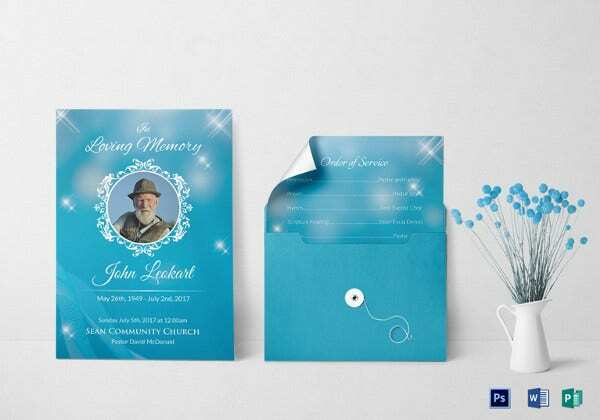 You can use them for your cherished family members and for any other personal loss. How long is a Eulogy Supposed to Be? There are no defined and fixed rules for an eulogy. However, a typical Eulogy lasts for 3-4 minutes. Sometimes it may extend up to 15 minutes depending on the circumstances. 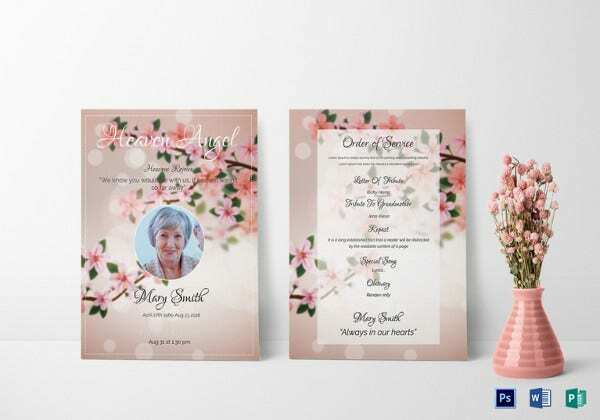 You may also check out here PSD Obituary Templates.